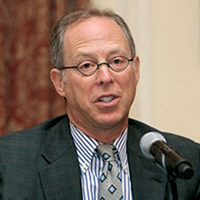 Randal Milch is the Co-Chair of the NYU Center for Cybersecurity, a Distinguished Fellow at the Reiss Center on Law and Security, and a Professor of Practice at NYU School of Law. He was most recently executive vice president and strategic policy adviser to Verizon’s chairman and CEO. He served as the company’s general counsel from 2008 to 2014, and before that was general counsel of several business divisions within Verizon. At Verizon, Milch chaired the Verizon Executive Security Council, which was responsible for information security across all Verizon entities. Milch was responsible for national security matters at Verizon beginning in 2006 and has served as the senior cleared executive at Verizon. Earlier in his career, Milch was a partner in the Washington, D.C. office of Donovan Leisure Newton & Irvine. Milch holds a J.D. from New York University School of Law and a B.A. from Yale University.